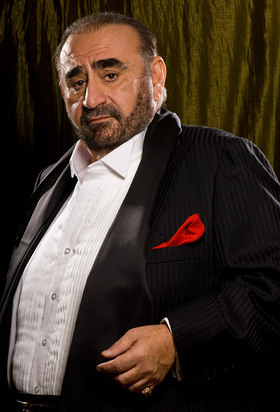 Best known for his role as Azamat Bagatov in Borat, Ken Davitian is well known for his charity work. 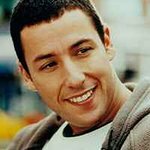 LookToTheStars.org recently chatted with the actor about his work making the world a better place. The main organizations I support are COAF (Children of Armenia Fund), St. Jude's, and Children's Hospital of LA. Their main mission is to help children. Children are our future and I truly believe we need to secure their education and well-being if not for their sake, then for ours. I spent a lot of time at the Children’s Hospital of LA with my son, so naturally I support them as a thank you for everything and so that others can get the same great care. COAF is helping children in the Armenian villages, but they are hoping to expand and help people outside of Armenia as well. 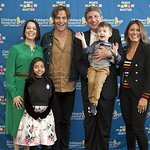 St. Jude’s is just a great organization; the research they do for children is enormous. I started supporting charity as soon as I had a voice, so since about 2007 when Borat came out. Shred Kids Cancer, Shriners Hospital, Make-a-Wish, Browns Cancer Center in Kentucky are some additional organizations I’ve supported in the past. And I participate in a lot of Charity Poker tournaments. For Christmas this year, we adopted a local family through our church in Santa Monica. We send money that they can use for food and presents. Well, if you are talking about celebrities that don’t support charities, the most annoying thing is that they have a voice and they should use it for good. Why wouldn’t you support a charity if you can? As a celebrity, you are a role model, you have reach, you have people interested in what you do. And helping is easy. If you don’t want to donate money, donate your time, or even just your name. I wouldn’t be doing it if I didn’t think it was important. It’s a responsibility that people in the spotlight should accept, I believe that since I first saw Farm Aid… I always thought if you get to a certain point, you need to give back something. In 2013, I am hoping to support AimFund with an event. They provide free dental work in Armenian villages. I just yesterday started supporting LA's Promise, participating in their online auction on charitybuzz.com. If you want to win a free lunch with me at my Hot Dog Restaurant The Infield in Sherman Oaks, make sure you bid on it in December. I grew up in East LA, I know how difficult it is to come from the other side of the tracks and trying to get a good education, so LA’s Promise is a great organization that I am excited to support. Also, I’ll be doing an event in Palms Springs for ShareKitchen in January, the last weekend of the Palm Springs Film Festival. This one is not for children, so I am branching out, but it supports new food businesses and entrepreneurs, so it’s a great fit since I’ve always owned restaurants. Children, children, children. I don’t really know what exactly, health, education, arts, but that is probably why I haven’t started one. I want to help all children for any kind of causes, the unfortunate and the sick, so it’s better for me to support other charities and cover a lot of causes rather than having my own. Melvin Smarty, Shark Proof, Friend Me (CBS), Nina (the Nina Simone story), and next month I start shooting Walk of Shame with Elizabeth Banks for Lakeshore. LookToTheStars.org thanks Ken Davitian for taking the time to talk to us.